Customer service is king. Everyone has experienced at least one nightmare situation where you have a problem with something you’ve bought, and the company you purchased it from couldn’t care less. They ignore you, try to palm you off, or give a half-arsed excuse of customer service while doing the absolute minimum to adhere to the basic legal rights of the consumer. While I am greatly predisposed towards complaining on this website (and there is a lot to complain about), never let it be said that I don’t acknowledge good customer service where I find it, and I found it this week at John Lewis. 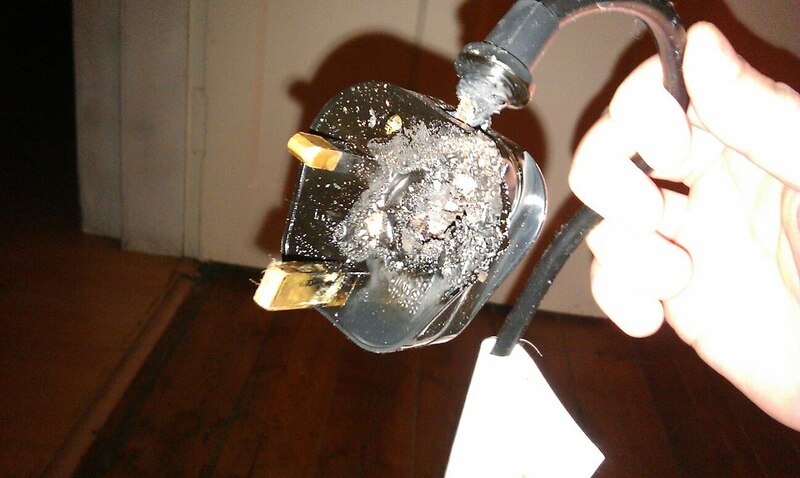 It suddenly died and the plug socket set itself on fire. If you’re wondering this was a De’Longhi brand heater. Anyway, I happened to still have the original box and receipt, and posted on John Lewis’ Facebook to explain the problem. They replied pretty fast and asked me to email their customer services. Their customer services replied to me promptly to explain my email had been sent to my local branch. My local branch then emailed me to say they had my email, and would reply to me again shortly. They then emailed me again to ask for my phone number. I gave it to them and they rang me within the next couple of hours to ask me to bring the broken heater into the local store. The next day I did so. They took one look at it and said they’d be sending it back to the manufacturer for examination and an explanation. In the meantime they offered me a free replacement of any heater in my local store’s range. I was conscious that I’d only spent £20 on the original heater, and not wanting to take too much advantage of them I picked a mid-range model that was £35. They rang this through the till (at no cost to me), and gave me a receipt and warranty for my new heater. They then rang me 2 days later to inform me that the old heater had been sent back to the manufacturer and they’d let me know as soon as they heard back. Now, obviously a heater spontaneously setting itself on fire is something of a safety hazard. John Lewis had good cause to worry that I might go into their store, guns blazing and full of righteous anger. Unusually in this situation I was vaguely aware that John Lewis were supposed to be quite good at customer service, but I’d never experienced it myself. I was content to sit and wait to see what they’d do after I reported the problem. From start to finish my broken heater was replaced and sent to tbe manufacturer within 3 days. Pretty good work. De’Longhi is another matter, and I will update this post as soon as I hear from them. Some form of compensation would seem to be in order, but insofar as John Lewis goes, I’m not sure what more I could have expected of them. Decent customer service really makes a change, although I’m just glad I’d kept my receipt! One final note: I bought my heater on the 29th November 2010. It decided to melt down on 29th November 2012. 2 years TO THE DAY after I bought it. Freaky. On June 12th 2012, Facebook finally released an official plugin for WordPress, allowing for the simplistic integration of Facebook’s social features into any WordPress blog. Well, that was the theory, anyway. As of today’s date, a week after release, the official plugin is rating at an abysmal 3 out of 5 stars from 49 ratings and 29,000 downloads. Considering WordPress is installed on nearly 75 million sites, and Facebook is used by more than 901 million users, this is an extremely luke-warm utilisation. But why? Well for one, Facebook has been extremely slow off the mark on this. ‘Facebook for WordPress’ apps, integrating functionality of the like button and comments box, have been around for a long time already. Most sites are entirely comfortable with their set-up and without a compelling reason, they won’t bother to change things around just for the sake of the app being ‘official’. The code to embed the social sharing aspects of Facebook is a very straightforward implementation, so an ‘official’ app is unlikely to be doing it differently. Sounds promising, but is it any good? Non-optionally replaces WordPress comments. Historically plugins which offer Facebook comments have been implemented in addition to WordPress’s own comment functionality. This gives site admins the choice of using both in tandem, or turning off the WordPress comments either for individual articles or the whole site. Personally I replace WP comments and so my settings have everything set to ‘Comments disabled’ with my 3rd party comment plugin loading at the bottom of articles regardless. The trouble is, with the official plugin this causes the Facebook comments not to appear as they’re sitting in the same area normally reserved for WP comments. I thought this feature was broken entirely until I turned comments back on for one article and the comment box then loaded. This isn’t obvious, and the plugin offers no options to change this. Like button broken on homepage. Some credit to the Like button – it seems to load quite quickly on page posts, but is entirely broken on the homepage posts. Normally a plugin puts a Like button at the bottom/top of each article, and a ‘Like’ will like the URL of that post. On the official app, while it displays Like buttons against each of the articles listed on the homepage, the URL which is liked is that of the homepage itself, and not the article. Really basic flaw and appallingly overlooked. Social Publisher doesn’t work. This asks for integration with your Facebook account in order to publish to your desired feeds. I obligingly clicked the link, authorised the app, and…. nothing happened. The box to enable to publisher unchecks itself, and provides no options for customising feed output. I couldn’t get this to work at all. Useless. Additionally enabling the plugin also breaks several of my other plugins, causing their content not to appear. I assume this is because the Facebook plugin is too aggressively taking control of the WordPress publishing areas, giving no consideration to other plugins that might be running already. That in itself is very annoying and enough of a reason to have me turn it off. I also found it strange that the ‘Send’ button was given as a separate feature, despite it already existing as an optional component within the Like button options. Only useful I suppose if you want people to share your pages, but not like them, which would be an unusual set-up. We should try to be forgiving, as this is after all version 1.0, and the plugin is only a week old. But the evident lack of testing is extremely poor and makes this a bug-ridden mess that should be avoided until several fixes are issued. I will update this article to report once the initial offering is updated. Social Publisher now works. I was able to finally authenticate with my Facebook account and given options to publish WordPress stories to one of my Facebook Pages. I tested this and also simultaneous posting to the author’s timeline, and both now work. Like buttons on the homepage have been fixed – now properly Likes the individual article. No longer appears to interfere with the publication of other plugin content (increasing the odds of me using this considerably!). So this is a very welcome and corrective update, dare I say halfway usable. My original bugbear of it replacing WP comments still exists, and the option to have this in addition to, rather than instead of, is something that needs to make its way into future updates. For the meantime I’ll be keeping this option disabled.